A lot of ideas are thrown around when brainstorming a unique visual for an otherwise routine groundbreaking. Some ideas are larger than others. 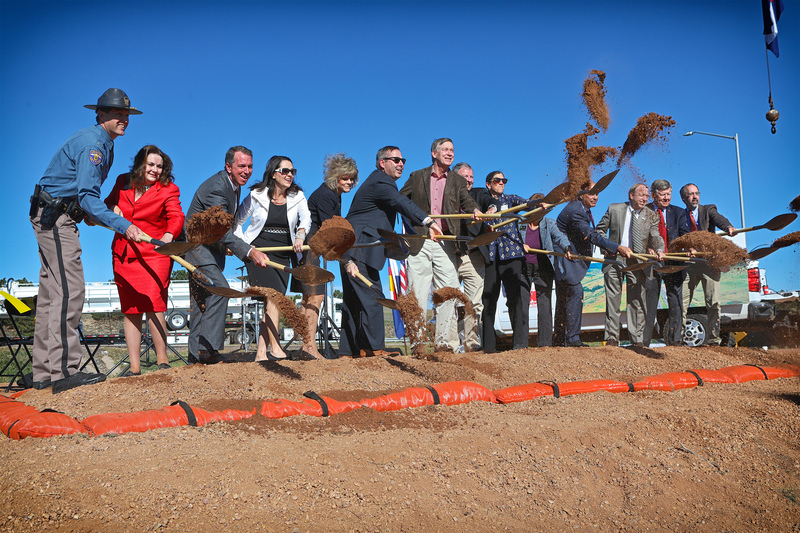 And in the case of the I-25 South Gap groundbreaking, our “large idea” measured 9 feet long. 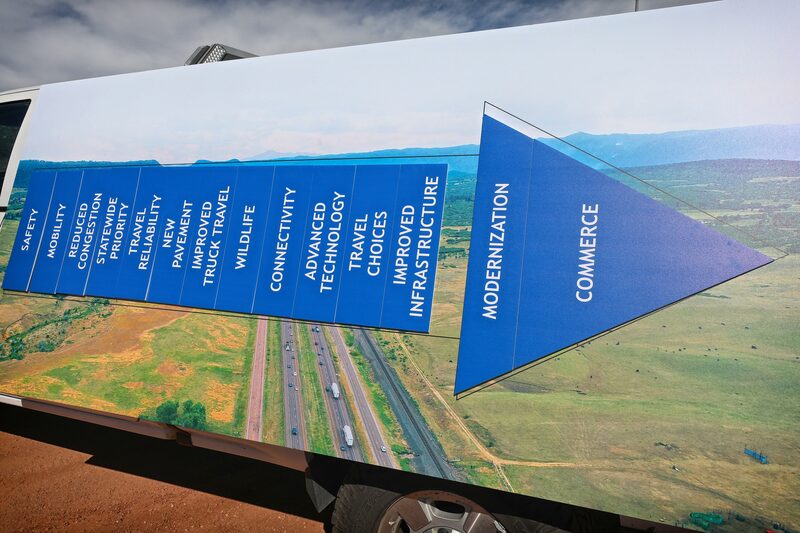 While the transportation of such a truck-sized arrow posed a challenge, the visual representation of the project’s priorities went off without a hitch, and even Gov. John Hickenlooper participated. 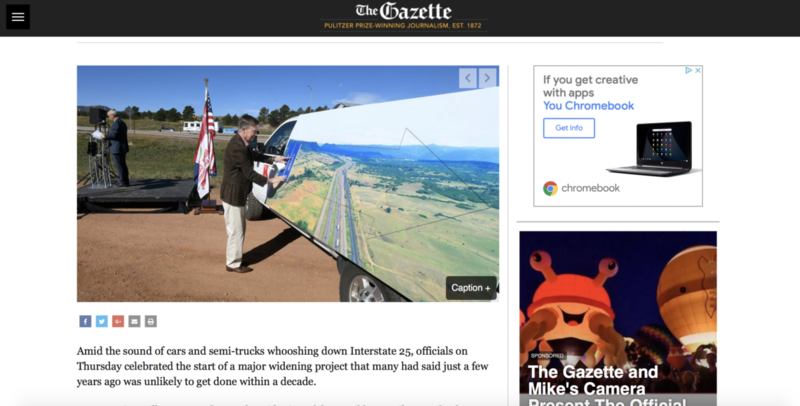 The results of our vision were splashed on the Colorado Springs Gazette’s website. The Gazette led with CIG's visual concept. Many stakeholders - from the local to federal level and Colorado State Patrol - joined Gov. Hickenlooper in the ceremonial breaking of the ground. 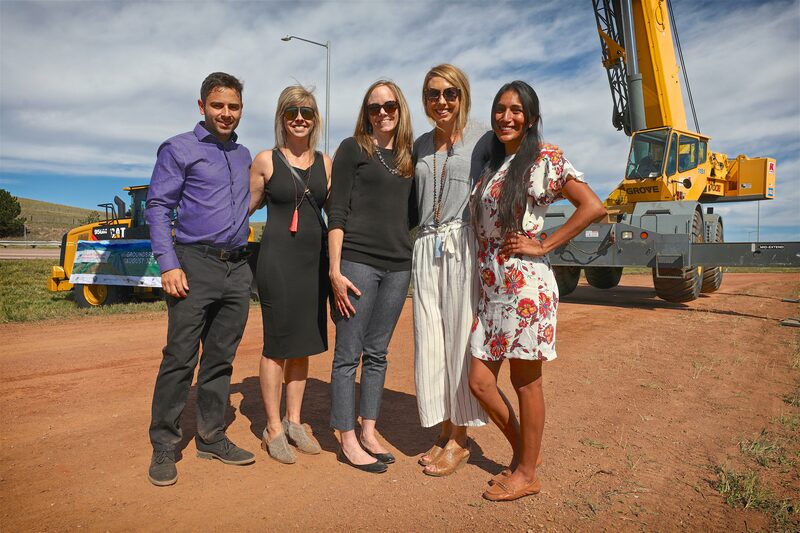 Many pieces came together to bring the I-25 South Gap project from idea to reality. Now, the I-25 South Gap is "moving forward" - the theme for this event. Jake, Liz, Caroline, Gabi and Ivonne at the event. Photos by Nick Lucey.